And my love for ice cream hasn't waned since. Anyway, my mom recently sent me this cookbook, and as soon as I saw the homemade berry crumble ice cream (which didn't require an ice cream machine), I knew I had to try it! With crock pots, pressure cookers, kitchen aid mixers, roasting pans, blenders, juicers, etc.... who has room for an ice cream maker?! Well fear not, you are not sacrificing a thing with this stuff - creamy and flavorful... and absolutely delicious! 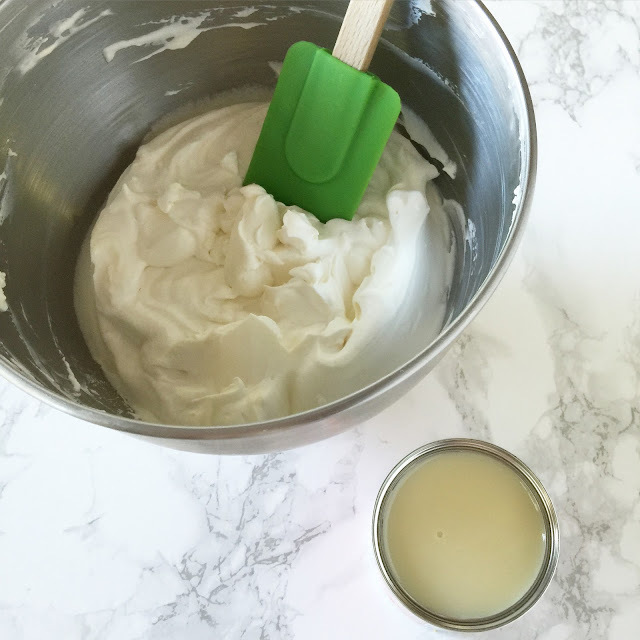 Pour the cream and vanilla extract into a mixing bowl and whip until thick, but not stiff... you'll need to give it some time - it takes a while to thicken up! 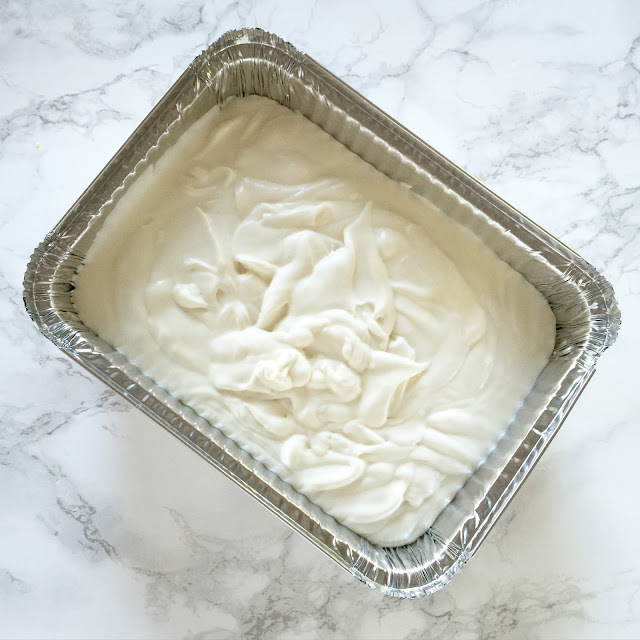 Once the cream is whipped, fold in the condensed milk; do your best to keep the cream fluffy. 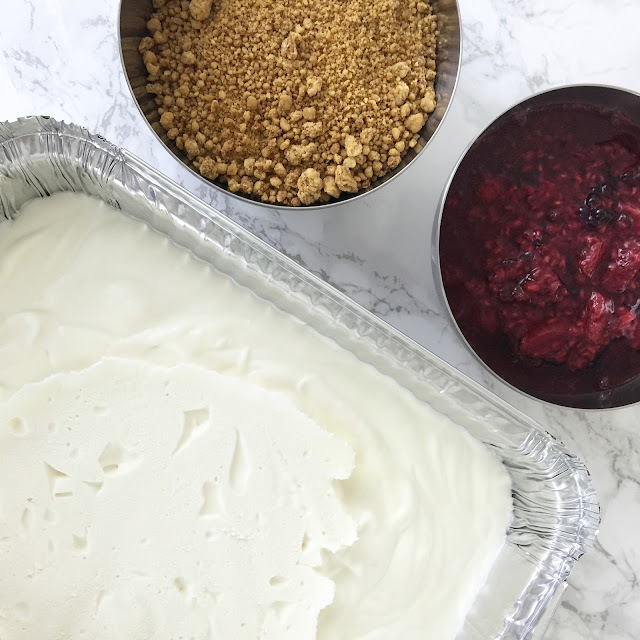 Pour the mixture into a freezer proof container, cover, and freeze for 3 hours. To make the berry sauce, put the berries and sugar into a pan over medium heat, and heat the berries until they are soft and juicy. Set aside and let fully cool. 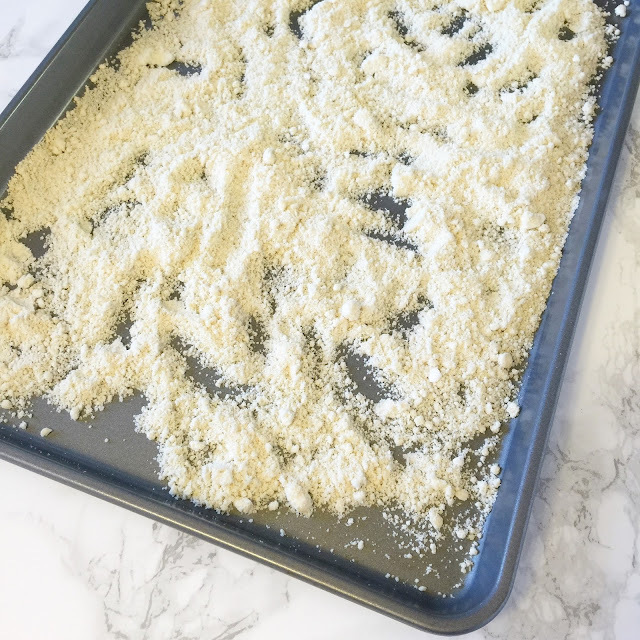 To make the crumble topping, mix the salt and flour together and cut in the butter (make sure the butter is very cold!). Using your hands, rub the butter into the flour until it is fully incorporated and crumbly. 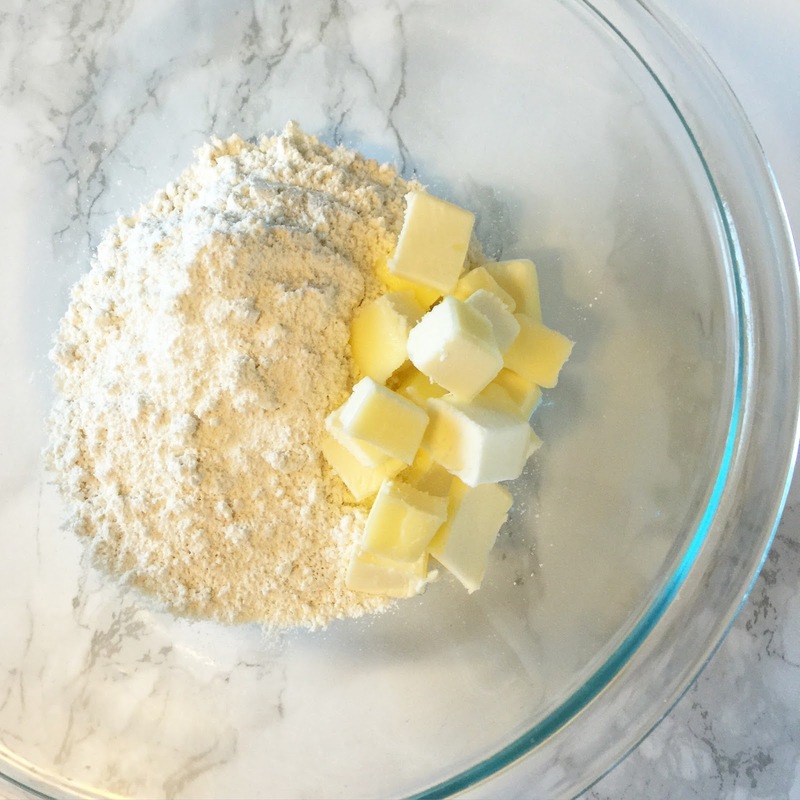 Mix the sugar into the flour and butter mixture and bake for 25 minutes at 350 degrees, stirring half way through. 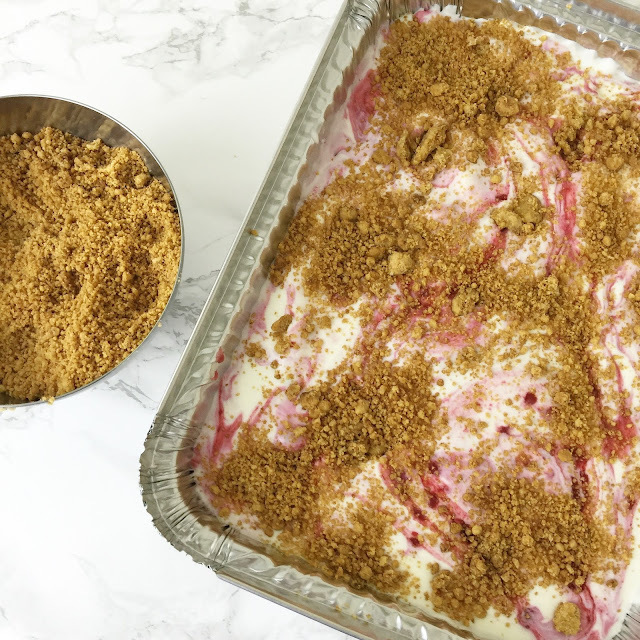 After freezing the ice cream for 3 hours, stir in the berry mixture and top with the toasted crumbles. 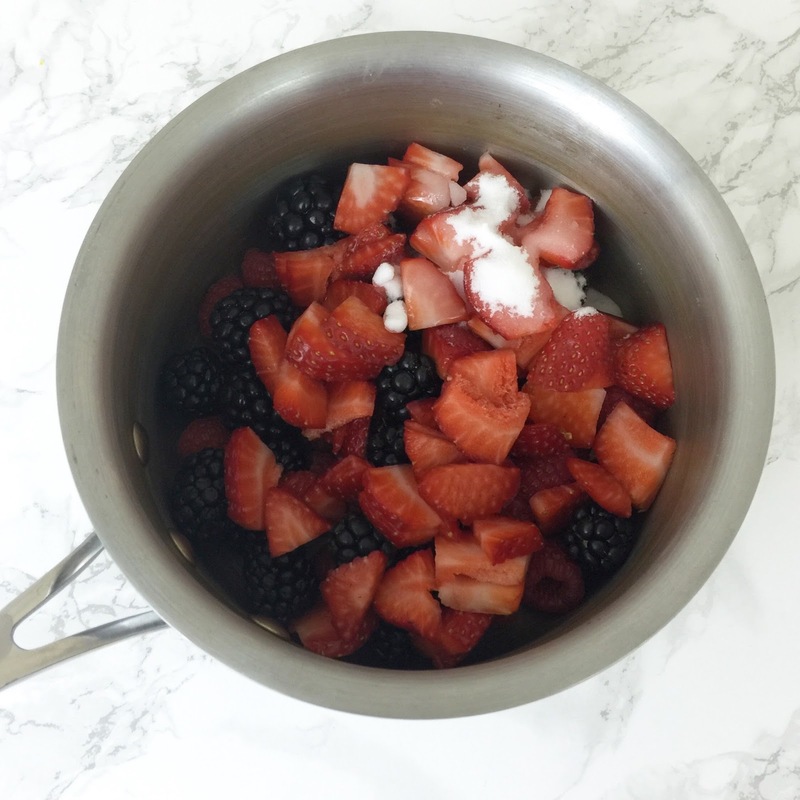 Make sure the berries and crumbles are fully cooled before doing so!! 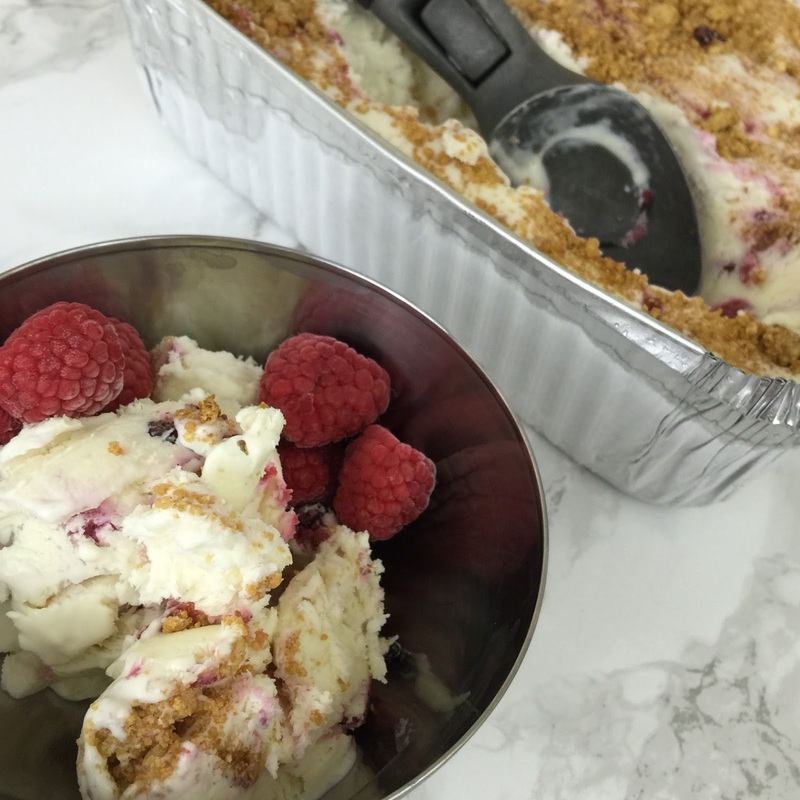 Finally, freeze the ice cream for an additional 4 hours, or until hardened... then enjoy! This stuff is the bomb dot com, and I promise that you'll love it. I'm already thinking up new flavor combinations... like chocolate chips and bananas! Omg!!! This looks and sounds amazing! Going to make this the next time we have company! This sounds AMAZING! 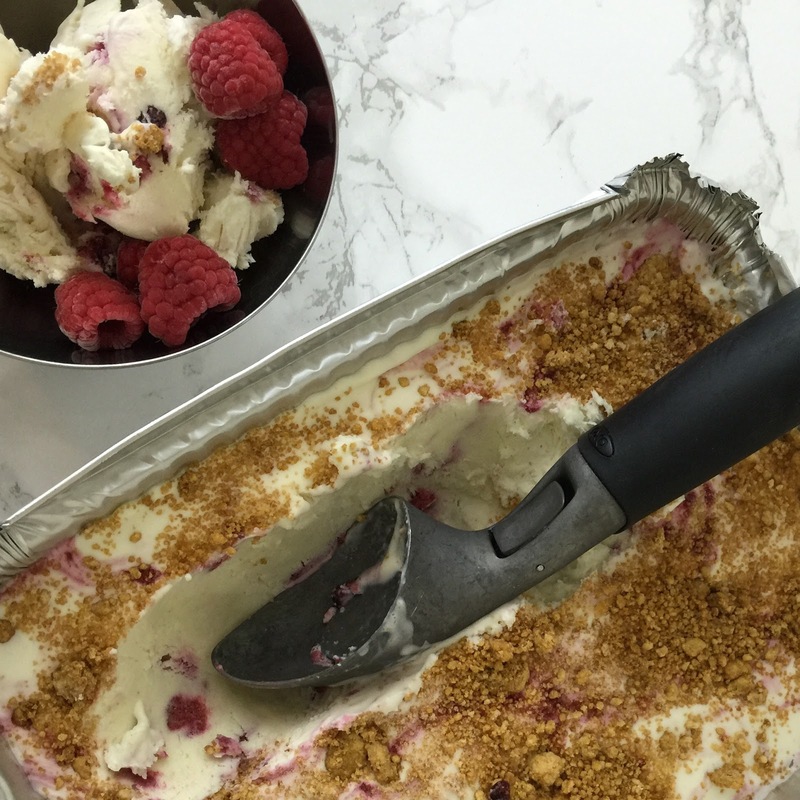 And ice cream that you don't need an ice cream machine for? Sold! OMG. AMAZING!!!!! I tried to work at an ice cream store once... I lasted two days. :-/ clearly, I should have sucked it up because you have skills!! holy cow mouth watering. this would be perfect for me to make at the beach this weekend! Oh wow! This is a game changer! I've tried using an icecream machine before and honestly never had great results. Yummmm! I can't wait to try this! My first job was at an ice cream shop, too and it was still my favorite one to this day!! Oh wow - this looks so delicious and refreshing!! I could go for some of this in this heatwave we've been having! Oh, the possibilities in making your own ice cream!!!! Yum, this looks soooo good! We have a little tiny soft serve maker, but I want to experiment with more flavors. I love the addition of the crumble! Whoa! This looks amazing! Homemade ice cream is on our summer bucket list - might have to try this recipe! Awesome! 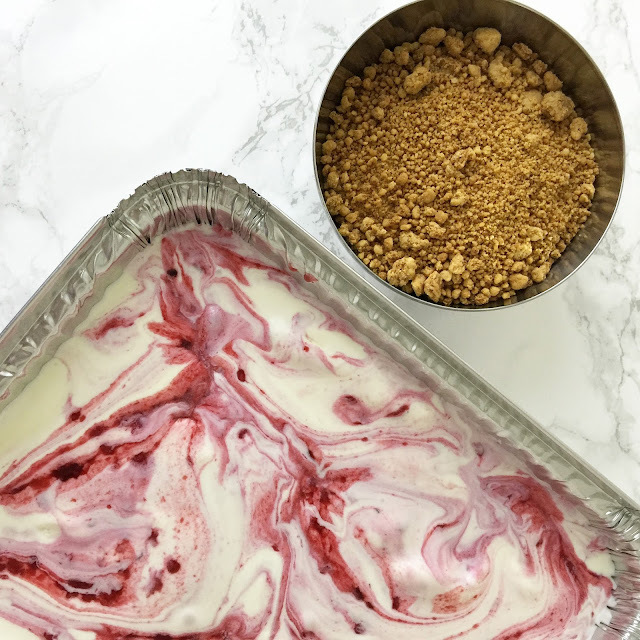 Who knew you don't need an ice cream machine to make ice cream! Thank you!!! Holy deliciousness! How fun that you used to work in an ice cream shop! YUM! Love how easy this is... and it looks SO good! I have an ice cream maker and I've been making wayy too many concoctions this summer. This looks amaaazing, and super easy for those who don't have room for the extra appliance! OMG THIS LOOKS AMAZING! And not too difficult! I love the pretty swirls it makes. I am pretty much obsessed with anything frozen right now. And seriously, who has an ice cream maker just laying around!? lol! You had me at ice cream! YUM! Pinning this now. Ahhh this looks amazing! I don't know if I'd be able to wait to let it harden all of the way. Yum! This looks really good. 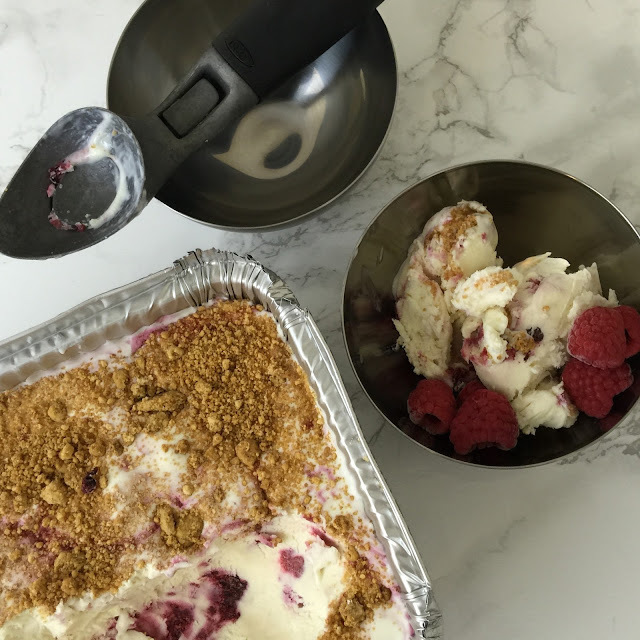 I absolutely love that you don't need an ice cream maker!!! !